Book Review: Förestallningar om det Förflutna by Bodil Petersson. Imaginations of the Past, Archaeology and Reconstruction. 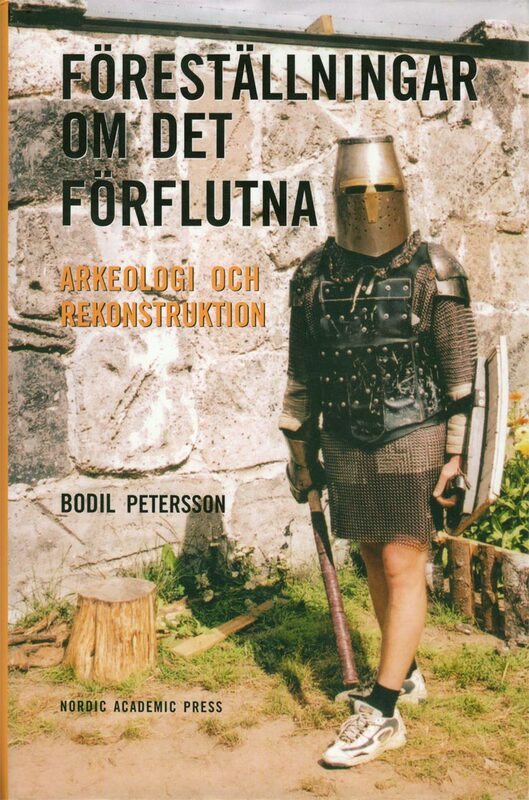 When in 2004 I asked Tomas Johansson for advice on my plans for a PhD in archaeological open-air museums, he quite rightly told me, “Bodil Petersson already did that, read the book”. Now, after finishing my own PhD in 2012, it is time to publish a review on this book and share its merits. Petersson is a Swedish archaeologist who wrote her thesis in 2003 reflecting on archaeological (re)constructions and their functions, forms and goals as well as their relation to archaeology. Quality, lies not in the economic base or in whether a museum is focussed on education or tourism, it lies in the engagement of the people involved and in with which knowledge and enthusiasm they work. Petersson is connected to the Institute for Archaeology and Antique History of the University in Lund, Sweden. Over the past several years, she worked on a PhD concerning archaeological open-air museums, ships and events in Scandinavia. The author visited over 100 projects or events and collected data about another 200. This can clearly be seen as a substantial dataset, and the results can be discussed in a wider, European view. The issues she addresses can be found, in one way or the other, in every archaeological open-air museum or any other archaeological (re)construction anywhere in Europe. She marks the importance of such museums, products and activities, both for research and for popularisation. Imaginations of the past are mediated “through reconstruction”. Petersson sheds light on the field from three different directions: politics, knowledge and adventure. Reconstruction is seen as a "creative interpretation emanating from the values of the present day", and can be categorised as: settlement, transport and event. The author has a large collection of shortlists. Clearly, Petersson takes a stand as an observer and a reviewer. She is outside this world of open-air and (re)construction, even though she moves around it like a consumer. If she had taken up another role of active participant or privileged visitor (discussing things directly with the managers), this would have strengthened her work, and some of the limitations that a can PhD set would have, in that case, been easily crossed. She tries to find a hold when describing the different (re)constructions or models and their role by leaning on architectural degrees in building with original material or information: conserve - renovate copy - reconstruct. When mentioning restoring, she does not forget to mention the difference between restoring 'in style' (building a certain type of house) and restoring 'antiquarian' (building a specific house). 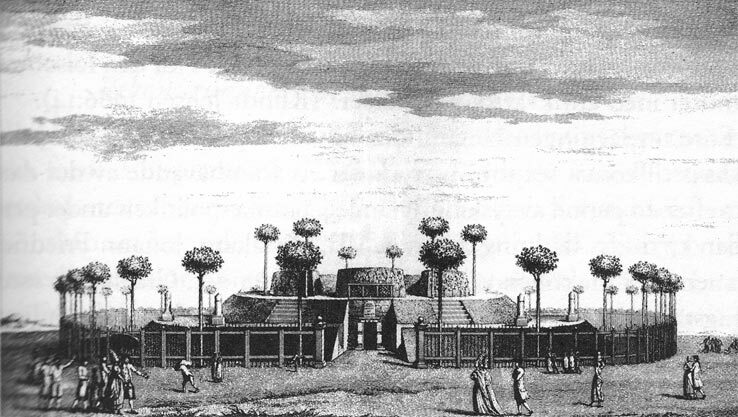 In the 18th century, 'theme parks' were built by the European upper class. They formed a mixture of beauty, amazement and temptation in an engineered landscape with arranged experiences. 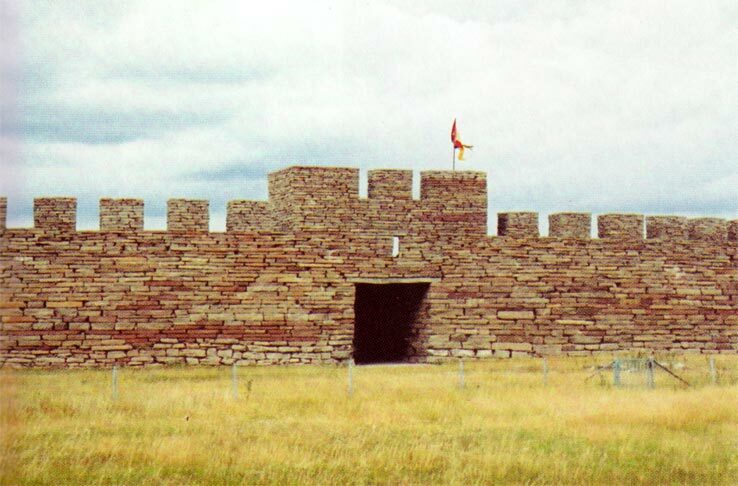 An interesting example is Jægerspris on Sjælland, Denmark. On the grounds of the summer residence of the royal Danish family grave hills and other 'ancient' monuments were established or 'restored' and showed King Frederik as heir of the qualities and virtues of his ancestors. An old experiment, which is brought to light, is the attempt to transport ships over land in about 1690. It was not the primitiveness of the people of the far past which was paid attention to, instead the abilities and professionalism was much more underlined. In these experiments different possibilities were explored and tested. Experiments in the 19th century helped underlining the possibility of the Three Period System (Müller 1897). Reconstruction based on scientific evidence played a role in the Scandinavian participation in World Exhibitions around 1900 and events like the Baltic Exhibition in 1914 in Malmö. Especially in Sweden, the Hembygdsföreningen or 'Local Heritage Movement' was strong around the turn of that century, trying to prevent the population from emigrating, which they did en masse, running away from poverty to the States and other 'paradises'. The local heritage movement tried to show the idyllic (Rousseau like) way of life and traditional values. Petersson does not merely give a description of simple acts; she also focuses on individuals and their roles. 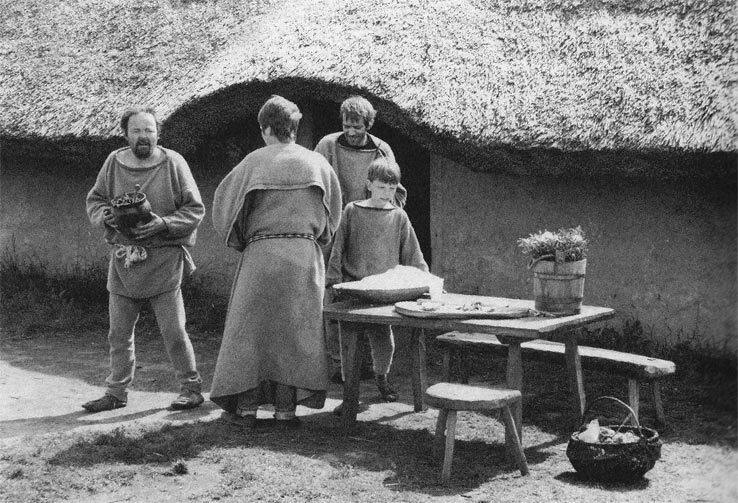 She places them in their time and environment; take for example the journalist Ernst Klein who set up a Stone Age Life Experiment which must have inspired quite a lot of TV series like the BBC Surviving the Iron Age which is set in an 'Iron Age' village but is actually about social interaction rather than life in prehistory. It is nice to know that Klein was later employed at Skansen in Stockholm as head of education. A weakness in the later chapters of the book is that Petersson does not follow this line up to the present – when most people are still alive. All projects starting after 1960 are merely technically described. We all know that - just like in the past - the success of reconstructions and experimental archaeology in Scandinavia (or Europe) over the past few decades depends on individuals. Describing these protagonists and their interactions would help the reader to understand the how and why of the present situation. It is, for example, nice to know the history of Hans-Ole Hansen, but, after the first few years of his activities, in the book there no word describing the development around him or the developments of Lejre itself, when he was still there and after he left. Petersson’s description of the attitudes towards ‘traditional’ open-air museums as compared to the older ‘show case’ museums in the 1890s parallels those of today. For example, when Skansen was set up, it was not thought to be within traditional scientific borders, but within the world of art. This did not stand in the way of the ambition to fill the environments in Skansen and its followers with life and craft. On the other hand, the Raison d'Être of showcase museums lies in being real. Their essence is the Authentic, not the (Re)constructed. With this in mind, (re)constructions can be seen as a kind of pseudo-phenomenon without legitimacy. They complement the museums' artefact-centred prehistory instead by adding the sense to have visited the past, a sensation that no single artefact museum can offer. If one argues that the risk exists that the public will take the presented past in an archaeological open-air museum, full of (re)constructions, for real (Schmidt 1995, 2003), doesn't the same danger exist in a showcase museum? Even there, A Story of the past is presented, not The Story. Who is blaming whom? Petersson realised while working on her thesis that established archaeologists showed less interest in (re)constructions as students and PhD students did. But archaeology is more than the excavation and analysis of the finds. Sure, in archaeological open-air museums, presentations of the past cannot be so tightly controlled as in a showcase museum, and reconstructions conquer more and more space in presenting the past. The public already accepted these museums decades ago: Lejre will celebrate its 50-year Jubilee in 2014. It still takes time to have the establishment accepting the phenomenon. If we read Petersson's descriptions of archaeological open-air museums, the message might be: "Rousseau is still alive and living in a newly built Stone Age hut". Nowhere did she find a (re)construction of a dark, barbaric and primitive past. The question of who we want to have been (Sommer 1999, for example) seems to be already answered uniformly. General (mistaken) assumptions about the past resurface time after time. Visitors to archaeological open-air museums might think it was a hard, laborious life back then, and one lived closer and more in balance with nature, to name just a few assumptions. One of the qualities of this thesis is that the author takes 'levendegørelse' (translated as 'animation', both including living history and pedagogic) as a meaningful aspect of the use of (re)constructions. Because of these very non-museum aspects, many traditional archaeologists turn away from (re)constructions as animation would be too far apart from science. This chapter fits well next to the description of the history of experimental archaeology in Germany until the end of the 1980s (Weiner 1991). Hopefully sooner or later this kind of stories can be interconnected to one European story. It is important to see where 'we' came from. "One cannot recreate an image of the past without weaving an image of the present into it" (Petersson, page 123). This chapter is, generally speaking, written in a ‘politically correct’ fashion, with, no sharp edges which can hurt or which call for debate: a missed chance. In this chapter, the author describes the, at first sight obvious, kind of politics which lead to reconstructions. It is nice to know that half of the 303 projects and activities Petersson registered are about the Viking Age: the Danish boat builders, the Swedish entrepreneurs and the Norwegian adventurers. Unfortunately, her choice of examples here is limited to the likewise obvious museums. Would other examples have led to more surprises? Well, honestly, if politics are involved, surprises are most often far-fetched. Less known museums might have offered the readers just as much insight in the mechanisms of politics and money. Petersson, in her description of projects, is not the judge who says whether a (re)construction is right or is used by people who have a feel for quality. Quality, Petersson claims in general, lies not in the economic base or in whether a museum is focussed on education or tourism, it lies in the engagement of the people involved and in with which knowledge and enthusiasm they work. The projects themselves are very eager to find out if they do it ‘right’ and could very much use a ‘quality seal’, but how to define quality? EXARC is working with this difficult problem (www.exarc.net). Considering the less obvious political mechanisms: in describing the plans for a King's Hall at the Sagnlandet Lejre, some more inside information on the politics would have strengthened her argumentation. Sure, the plans for the Hall in itself touches upon national sentiments, but did Petersson ever wonder why, after 12 years of talking and writing, still nothing was built? A well-chosen example, however, is the Dybbøl Banke Project, on the 1864-65 Danish-Prussian battlefields. This is about national heritage, about the national Danish Conscience. The subject and emotions can be very much charged by the way this chapter of history is set to life again. But Hans-Ole Hansen, the man behind Dybbøl Banke did not turn it into a ‘Disneyland’ style park. The European perspective is given little attention in this book. The choice for a certain (pre)historic period alone was never the only reason the EU supported a project or a network. EU projects are often about cross-border cooperation. The value of the phrase 'culture' in European circles should not be overestimated. Petersson could have chosen to see what exactly the 'European Added Value' of different supported EU projects was. Unfortunately, there is no criticism towards the EU or towards the way some museums try to copy and paste political phrases into their proposals in order to be rewarded well. Petersson concludes: "reconstruction could as well function as support for a common European culture, in which we all stand together against the rest of the world" (Petersson, pages 204-205). Maybe, she projects an all-Scandinavian image upon the whole of Europe. The EU focus is however more on inward binding Europeanism than on outward segregating. Including a political message into your open-air museum, your ship project or manifestation will strengthen the possibilities for support and success. That is a clear message, but we know that. This chapter is about knowledge and experience, and the struggle for the (re)constructor's experience to be heard. There is a difference between knowledge learnt from books and knowledge gained by experience, which cannot be captured solely in words (see Godal 2001). The latter enters the non-graspable realms of intuition. The tension between these two kinds of knowledge often plays a role in defining the kind or level of experimentation. However, Petersson is not solely interested in experimentation, but in (re)construction, being between research and mediation. (Re)construction does not solely serve science. In (re)constructional projects, scientific archaeology loses its monopoly on the past. Archaeologists involved in (re)constructing will realise that giving up that monopoly is rewarded with synergy. Understanding the past goes beyond explaining it. Explaining the past can be attempted by presenting lectures and books. Understanding follows from experimenting, experiencing and reconstructing. Does a (re)construction have any use at all? What is the goal of (re)constructing? Is it research, education, tourism or adventure? What are the starting points for this new creation? Does it generate new knowledge or does it reproduce established knowledge? Which view on knowledge do the individual (re)constructions mediate? Is it about differentiating between different ideals of knowledge? What does the contact between research and mediation look like? What does the word 'authenticity' stand for in relation to (re)construction? Looking at other projects, the author sees no clear border between what could be defined as knowledge on the one end and adventure on the other. One can see things from an experimental, technologic point of view (‘authenticity’ - natural science) or can focus on the action, the use, the ‘travel’ (‘experience’ - humaniora). Clearly there are different ideals of knowledge. “The experimental scientific tradition wants to keep the working process hypothesis - test - result upright. But how should this hypothesis look like when one formulates how Vikings experienced travelling east - and what would be the result? Can the experiment be repeated? Will a novel be written or a report” (Petersson, page 231)? “Many who work with experiment and reconstruction within archaeology experience a lot, but there are no accepted ways on how to handle and describe experiences. Thus, they cannot be integrated in the overall work. What can be described should preferably be measurable and weighable” (Petersson, page 233-234). In her humanistic approach, Petersson follows other Swedish authors like Bengt Edgren and Tomas Johansson. She wonders whether we will be able to combine thought and action in a single understanding of knowledge. (Re)construction and experiment cannot be merely analysed and divided into technical and cultural factors without empathy and experience. It needs the best of both worlds. Popularisation is the final step in archaeological work, and is best executed by educational experts and PR professionals. Again, the past is not the monopoly of scientific archaeologists. But can a presentation be too vulgar, too much amusement and too little education? Is an archaeological open-air museum - in contrast to showcase museums - more about folk culture than about 'fine culture’, about the elite? And if so, is that a problem? The traditional museums will experience problems with modern day tourism, which is shifting from passive consuming towards active learning. Experimental archaeology is meant to show something, not to prove anything. Uncertainty is an important aspect of experimental archaeology as well as (re)constructions. With (re)constructions you show a moment frozen in time but cannot show the changes made over time in one building or in a building tradition over centuries; aspects which are important for archaeology. The spatial aspect: one can move around inside and outside a (re)construction. No other kind of mediation can give the three dimensional space to imagine travelling into the past, possibly even including landscape. Adventures as Petersson describes are very much about 'the right scenery' and 'the right experience'. Authenticity in props and attitude of the actors in role-play are highly valued. Professionals prioritise authenticity. It is, however, not the authenticity of the product that is important (the house, the artefact): the public is looking for an authentic experience. In this last of her large chapters, Petersson argues that ‘fun 'n games’ are something everybody gets involved in. Even science can be seen as playing a game. Adventure and travel leads to discovery and even though the author claims the contrary, it does lead as well to escapism. Buildings are about living in one place and about managing actions typical to that specific time frame. 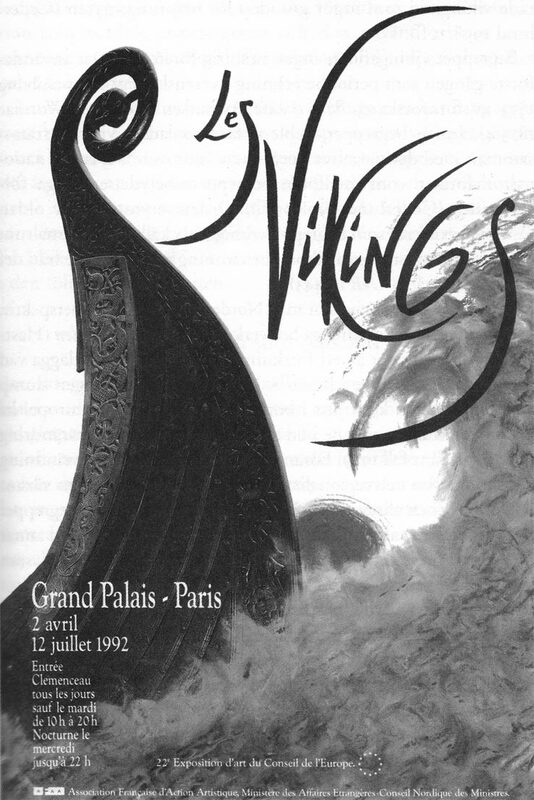 Transport includes ideas like adventurous Viking ship travels to the East or even circumnavigating the globe. Actions or events include markets, festivals, tournaments and processions. These events are not just extraordinary - outside the normal life, but in some cases even (according to Petersson) extravagant. Living history or re-enactment in the UK often is about war and conflict, experienced in a playful manner. In Scandinavia the more peaceful daily life gets as much attention as the fighting does. Role-play as an instrument in education is an idea the rest of Europe could think of putting to practice as well. ‘Time travel’ - from hobby to life style - involves more people every year. 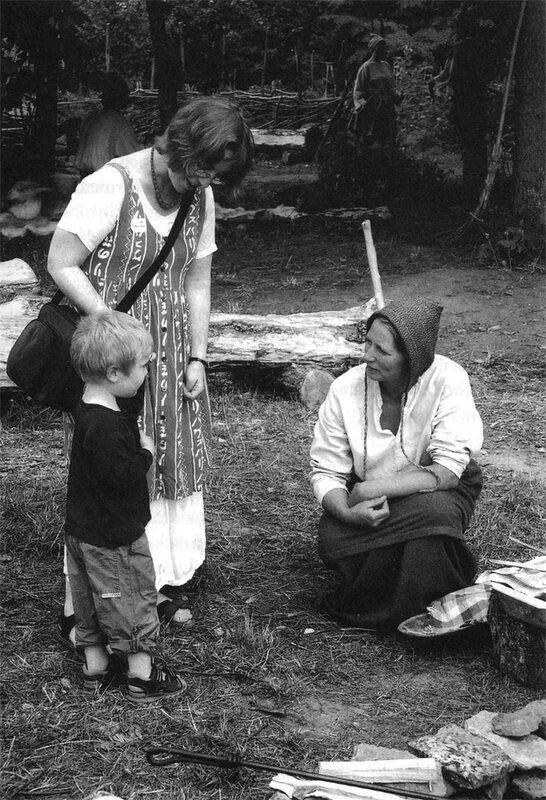 In 2002, Foteviken Museum estimated the population of ‘modern Vikings’ in Europe as being between three and four thousand. To them, authenticity is not the priority, but one owns ability to imagine. Petersson then presents an imaginary travel past dozens archaeological open-air museums in Scandinavia. These 40 pages of ‘time travel’ are interesting in itself, but it does not contribute to her argumentation here as it would in any other chapter. It reads like a nice story-within-a-story. Petersson focuses on the politician, the archaeologist, the constructor or hobbyist, the educator and the adventurer. If she would have focussed as well on the visitor (the role she so often took), she would realised that another completely different set of items become meaningful: visitors have other goals when coming to such a project or taking part in an event. However, there are limitations to a PhD. The positive aspects of archaeological open-air museums have been described in detail in the book itself. An important weakness of archaeological open-air museums is the fact that the character of their presentation, involving all senses, is not focussed on alienating or creating a distance. The public is not stimulated to question the presentation but instead, identifies with it. (Re)constructors would gain strength if they would leave the public with questions. One might take into account that because of the actual self-sufficient character of most of these museums (in contradiction to showcase museums) it is a necessity to be popular and to mediate a popular past. Are (re)constructions a sort of free-floating uncontrollable phenomenon? Is a (re)construction about making money, doing research or about education? It involves every kind of people, from hard-core archaeologist to teacher, from craftsman to New Age adept. This broad involvement is its strength. Archaeological open-air museums are a great stage, a good instrument to mediate between archaeology and the public. Clearly, (re)constructions mirror the present and they often turn the past into the kind of archetype descriptions of periods (‘the heroic Viking Age’). However, in their turn "reconstructions can also constructively turn established representations upside down” (Petersson, page 397); it is about time that this begins to happen. PETERSSON, B., Föreställningar om det förflutna, arkeologi och rekonstruktion, , Lund, Nordic Academic Press, pp. 496, 2003. SCHMIDT, M., "Museumeducatie is geen experimentele archeologie. Enkele aantekeningen bij 14 jaar museaal educatief werk in het Archeologisch Openluchtmuseum Oerlinghausen, Duitsland", Leren op een educatief erf, vol. 1, pp. 25-30, 2005. TILLEY, C., A Phenomology of Landscape. Places, Paths and Monuments. Explorations in Anthropology, , Oxford; Providence, USA, Berg Publishers, 1994. WEINER, J., "Archäologische Experimente in Deutschland: von den Anfängen bis zum Jahre 1989. Ein Beitrag zur Geschichte der Experimentellen Archäologie in Deutschland", Experimentelle Archäologie, Bilanz 1991, Archäologische Mitteilungen aus Nordwestdeutschland, vol. 6, Oldenburg, Staatliches Museum für Naturkunde und Vorgeschichte, pp. 50-68, 1991.